The weather has been warmer and dryer since my last update so things are starting to look better in my garden, but it still seems to be growing slower than normal. I’m thinking the soil is pretty deprived of nutrients because of the above ground pool that used to be on that spot. 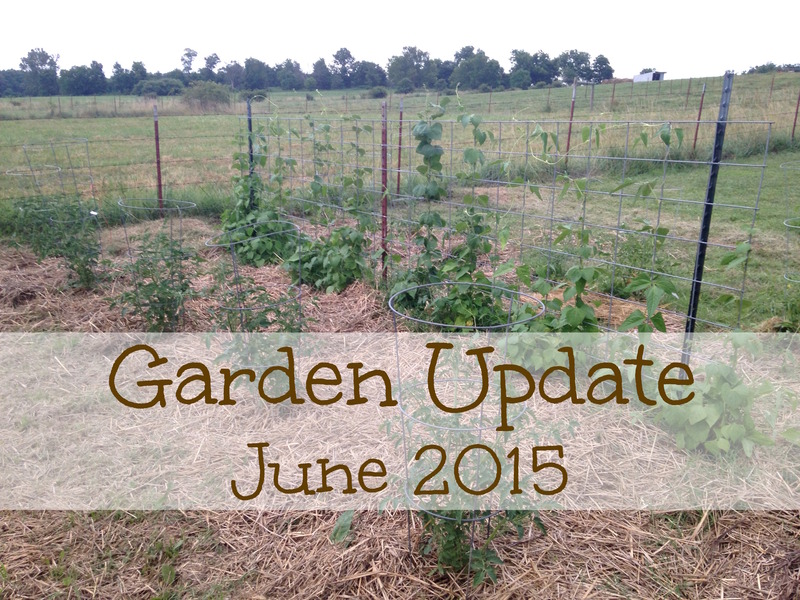 I’ve been busy mulching to help keep the weeds down. 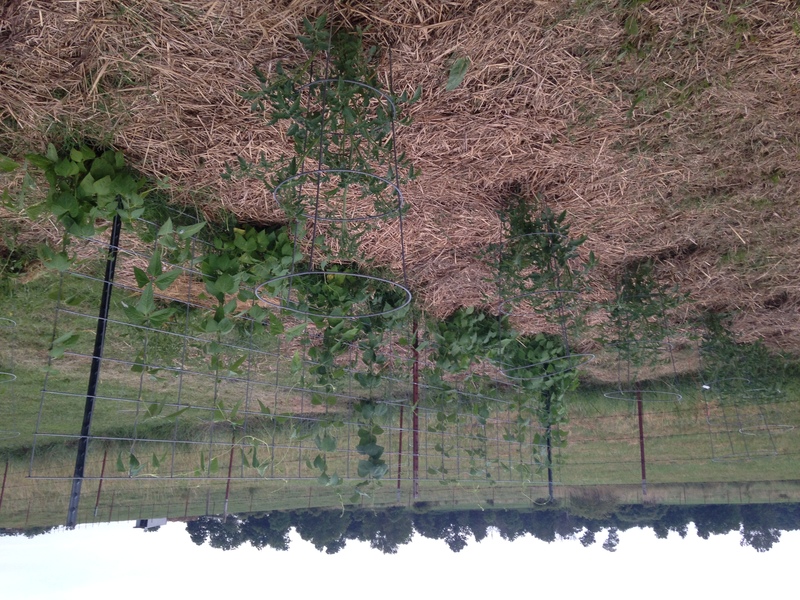 Here are some of my beans and tomato plants. I’m growing a Chinese Noodle Bean that I’ve never grown before which I’m pretty excited about. They are long and thing like a noodle and supposed to be good in a stir fry. I have little beans on my plants right now so I’ll have to let you know how they taste. 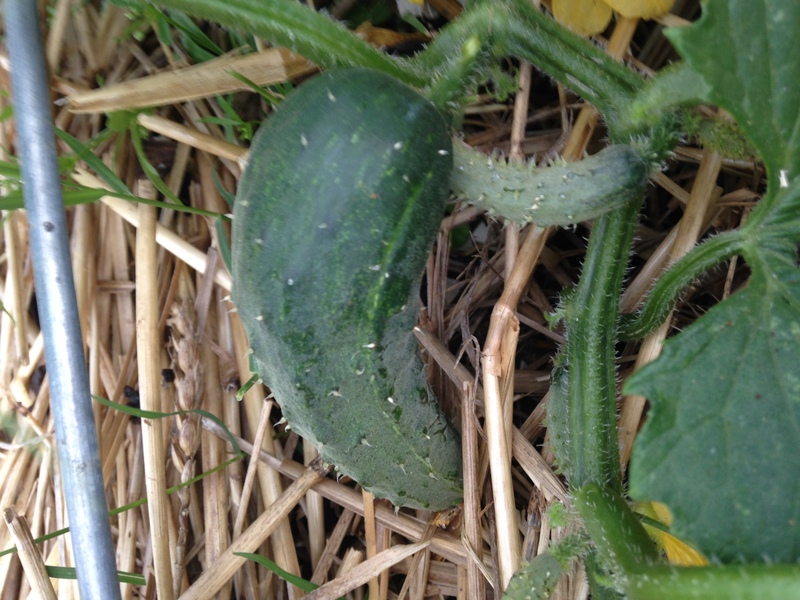 I have a few cucumbers that are ready to pick, but my plants are still small and not producing like normal. Again, I think my soil is nutrient deprived. 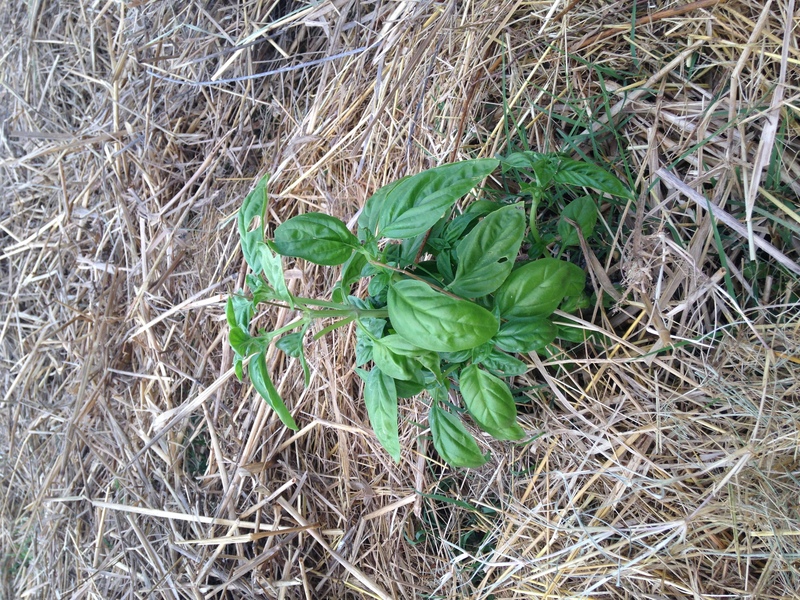 I planted several basil plants, but this one looks the best out of all of them. I try to pick some a couple of times per week so that my plants will get bigger and bushier. I can’t wait to have enough to make pesto. Yum! For a more extensive tour of the garden and a look at our new property check out the video below and don’t forget to subscribe to my YouTube channel so you never miss a recipe or update! Missy, Your garden looks good! Every year it seems like we deal with something. Either too hot, too cold, too much rain, not enough rain etc. it takes a lot of time and effort to have a garden. But when you can eat that fresh produce.... So worth it. 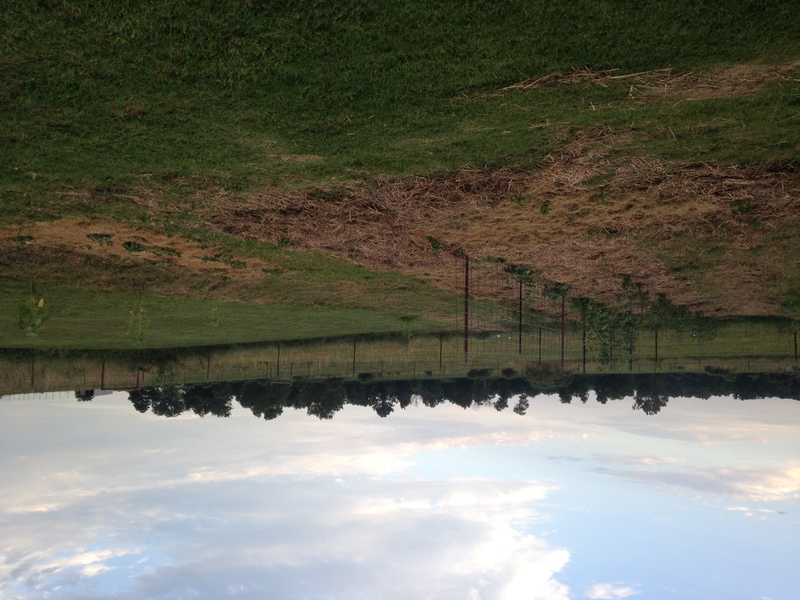 My garden was doing good until we got 2 inches of rain overnight. I have my tomato plants in containers and 5 of them wilted. I'm hoping they might come back with the warmer weather. Thanks for keeping us up to date with your garden.